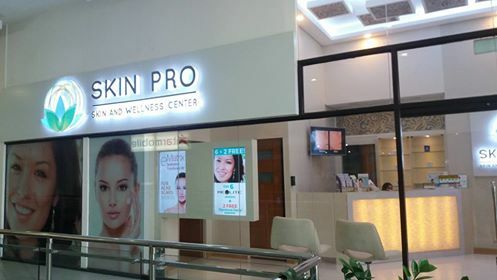 Achieving a flawless skin nowadays is easy with SkinPro. SkinPro's Revlite Pigment Laser promises to transform your skin and make a spotless skin achievable. I’ve heard of the many benefits of Revlite Laser, and so I immediately agreed to experience SkinPro's Revlite Laser Treatment, together with my friend, Nicole. They have two branches--- Makati and Alabang. We both went to their Alabang branch since it was nearer. At 45, I start to notice wrinkles and fine lines, plus signs of ageing like pigmentation ranging from freckles to liver spots. Revlite treatments not only rejuvenates and refreshes the skin, it works on ageeing and sun damage as well as keeping it firm and smooth. Revlite basically makes you look flawless—--it treats skin pigmentation, wrinkles, fine lines, aging skin, enlarged pores, and It also rejuvenates and refreshes the skin, and keeps it firm and smooth. After filling up the client questionnaire, Nicole went up for treatment. The aesthetician cleansed her skin first. Then she asked her to put on the protective goggles. The attendant then advises Nicole where she would apply the laser pulse on her face. She starts on the right lower jowl, then on the cheeks. She works on the left side of the face afterwards. Next was the upper lip and the forehead. I had my turn after Nicole's treatment and I say that the feeling of revlite on my skin is similar to a rubber band lightly tapping your skin. The heat that goes along with it gives a slight discomfort especially when it is applied near the eye and mouth areas. I felt my hair around the lips being zapped away with a slight burning smell. I was told that it was normal. Even so, I asked the attendant to lower the setting applied for the eye—lip areas. The heat pulses are short and quick. I asked her to work on my forehead a second time as it is my main problem area. The laser pulse is applied to dissolve pigments and stimulate new collagen production. The principle underlying revlite concept is that laser wave works only on aberrations and doesn’t affect normal parts. This is why it is important to correctly determine the particular wavelength required to be applied for specific skin discoloration problem. The attendant applied sunblock. The skin appears a little red, but it faded in a few hours. A day after, my skin appears firmer and fresher because new collagen is formed. My skin also appears pleasantly plump. 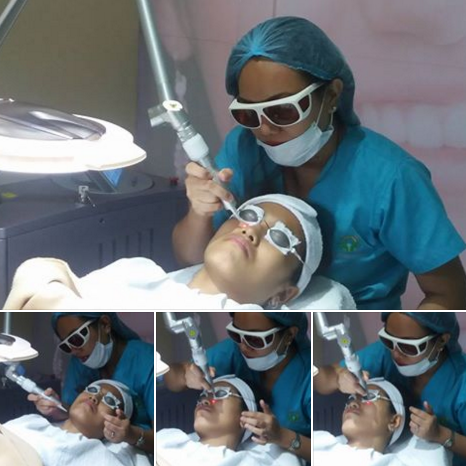 It has no downtime that is why is had become the procedure of choice among top celebrities and working people who want a better solution to sun-damaged, aging or acne-scarred skin. We were told to refrain from washing the face overnight and to apply at least SPF 30 sunblock before heading out. If you’re considering getting a Revlite Laser Treatment for Skin Rejuvenation, get it from SkinPro! You will notice a marked improvement.